Two exoplanets, 500 and 1,200 light years away are far more similar to earth than though, astronomers have revealed. Kepler-186f, 500 light-years away, is the first identified Earth-sized planet outside the solar system orbiting a star in the habitable zone. A new study from the Georgia Institute of Technology provides new clues indicating that along with Kepler-62f, a super-Earth-sized planet orbiting around a star about 1,200 light-years away from us, it could be extremely similar to our own planet. 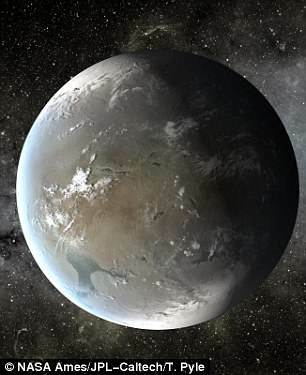 Kepler-62f, left, and Kepler-186f (right)., 500 light-years away, the Georgia Institute of Technology found both the exoplanets have 'regular seasons and a stable climate'. The Georgia Tech study used simulations to analyze and identify the exoplanet's spin axis dynamics. Those dynamics determine how much a planet tilts on its axis and how that tilt angle evolves over time. Axial tilt contributes to seasons and climate because it affects how sunlight strikes the planet's surface. The researchers suggest that Kepler-186f's axial tilt is very stable, much like the Earth, making it likely that it has regular seasons and a stable climate. The Georgia Tech team thinks the same is true for Kepler-62f, a super-Earth-sized planet orbiting around a star about 1,200 light-years away from us. The say the measurement is key - and that large variability in axial tilt could be a key reason why Mars transformed from a watery landscape billions of years ago to today's barren desert. 'Mars is in the habitable zone in our solar system, but its axial tilt has been very unstable - varying from zero to 60 degrees,' said Georgia Tech Assistant Professor Gongjie Li, who led the study together with graduate student Yutong Shan from the Harvard-Smithsonian Center for Astrophysics. As a comparison, Earth's axial tilt oscillates more mildly - between 22.1 and 24.5 degrees, going from one extreme to the other every 10,000 or so years. The orientation angle of a planet's orbit around its host star can be made to oscillate by gravitational interaction with other planets in the same system. If the orbit were to oscillate at the same speed as the precession of the planet's spin axis (akin to the circular motion exhibited by the rotation axis of a top or gyroscope), the spin axis would also wobble back and forth, sometimes dramatically. Mars and Earth interact strongly with each other, as well as with Mercury and Venus. As a result, by themselves, their spin axes would precess with the same rate as the orbital oscillation, which may cause large variations in their axial tilt. Fortunately, the moon keeps Earth's variations in check. The moon increases our planet's spin axis precession rate and makes it differ from the orbital oscillation rate. Mars, on the other hand, doesn't have a large enough satellite to stabilize its axial tilt. 'It appears that both exoplanets are very different from Mars and the Earth because they have a weaker connection with their sibling planets,' said Li, a faculty member in the School of Physics. 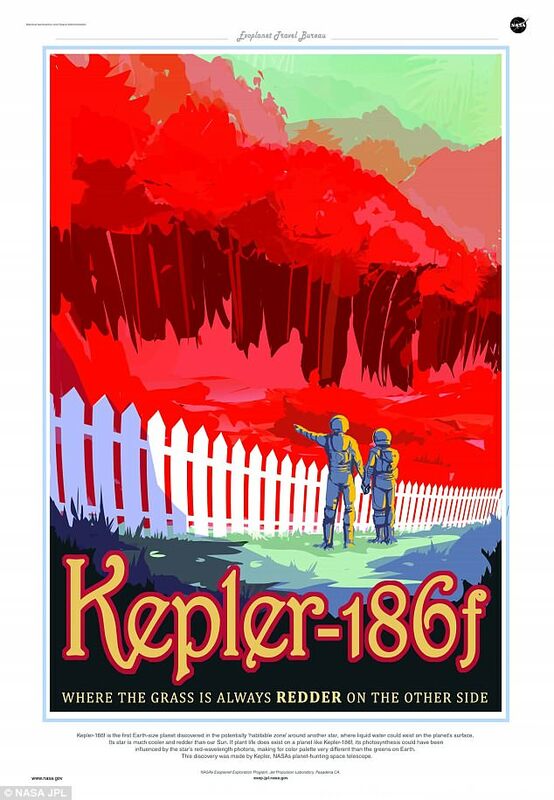 Kepler-186f was the first Earth-size planet astronomers ever found inside the 'Goldilocks' or 'habitable' zone around another star. 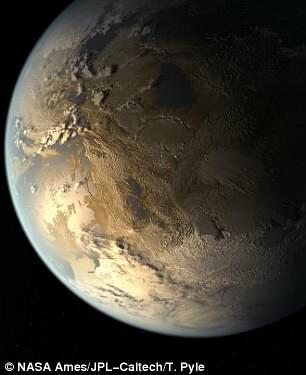 That's not to say either exoplanet has water, let alone life. But both are relatively good candidates. 'Our study is among the first to investigate climate stability of exoplanets and adds to the growing understanding of these potentially habitable nearby worlds,' said Li. 'I don't think we understand enough about the origin of life to rule out the possibility of their presence on planets with irregular seasons,' added Shan. 'Even on Earth, life is remarkably diverse and has shown incredible resilience in extraordinarily hostile environments.